It's been almost a year since HTC announced its Re sports-focused camera, and there's no indication that the company intends to continue the product line with another entry. So maybe the smartphone maker isn't interested in going toe-to-toe with GoPro, but that means that you can get some great deals on a product that's less popular than its competitors. 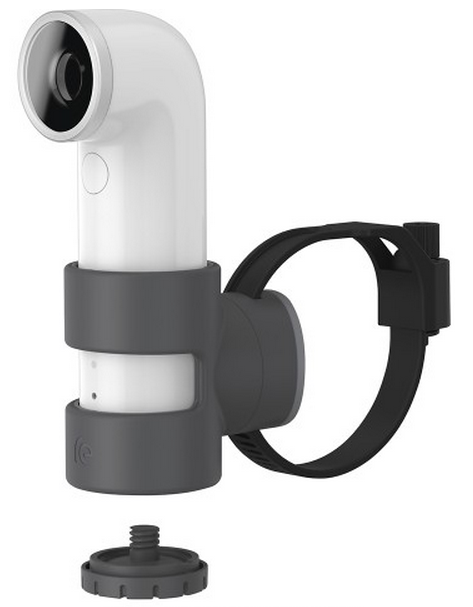 Today Best Buy is offering a bundle deal that includes both the camera and a bar mount (ideal for cyclists) for $99.99. That's half off of the retail price of the camera with a $20 bonus for the mount, which brings the total discount to $120. The Re is a 16MP camera that shoots HD video to boot. The camera has no zoom, image stabilization, or viewfinder, but it's water-resistant and saves images to its built-in MicroSD card slot, making it more portable and "action-friendly" than more conventional cameras. With the Re app (which is compatible with non-HTC Android devices and also comes in an iOS flavor) you can make a digital viewfinder and easily transfer photos and videos to your phone or tablet. Best Buy's deal is good for the white, blue, and orange versions of the Re Camera, and shipping is free. If that's not enough, the package also includes a credit for a free 8x8 photo book from Shutterfly. In-store pickup is available, but the stock seems a bit limited and you'll have to pay sales taxes either way. This is a Daily Deal for Best Buy, so get on it quickly if you want to take advantage of this deal.